and family celebrations. I was painfully shy so food became my friend. It seems unbelievable in today’s world, but back then, they marketed a line of plus-size clothing for preteen girls in the 1970s called “Chubbies,” which I wore. I was embarrassed to shop for clothes, and I dreaded it. back then, and I would feign illness in order to avoid having to change into the horrifying gym uniform we were required to wear. Seriously, who designed those monstrosities? There was absolutely nothing flattering about the sleeveless royal blue and white striped polyester short jumpsuits — they only made us more insecure and self-conscious. 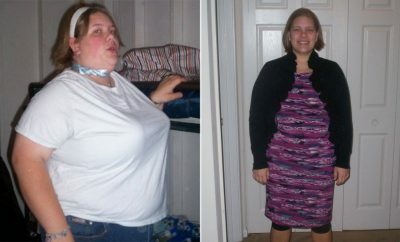 I joined Weight Watchers for the first time when I was 16 and weighed 165 pounds. I lost 10 pounds, but quickly gained it back. As a college student, I managed to maintain an average to slightly above-average weight for about six years, but I never had a healthy relationship with food. All I knew how to do was either eat and be overweight or starve myself and be a normal weight. I met my husband when I was 19, and while he helped motivate me to keep my weight in check, that all went to the wayside when I became pregnant. I used the “eating for two” mantra as permission to eat whatever and whenever I wanted. I weighed over 200 pounds when our first child was born. When I was in labor and being admitted to the hospital, I made my husband leave the exam room when the nurse asked me what I weighed. Shame was nothing new to me. At the birth of our second daughter, I weighed 204 pounds. Raising our two daughters was the most amazing experience of my life, but it did not help my weight problem. Whatever they didn’t eat, I did. Plus, the stress of having two toddlers, working full-time and running a household added to my weight gain. The more I gained, the more depressed it made me, the more I ate and so it went. Over the years, I joined every support group and tried every fad diet that hit the market. If I was lucky to lose any weight at all, I quickly gained it back — and then some. I would also periodically sign up for an aerobics class but nothing held my interest. I became very depressed and believed there was no hope for being what I considered normal. I would try to convince myself to accept my weight and my appearance for what it was and be happy, but I simply couldn’t. I did not like myself, and that’s a terrible way to live life. Breaking Point: My breaking point arrived on June 14, 2007, a date which I now celebrate as my “rebirthday.” I was 49 years old, and I’d just had my “annual” physical exam that I had put off for three years because I didn’t want to be weighed. Afterward, my doctor sat down to have a talk with me. 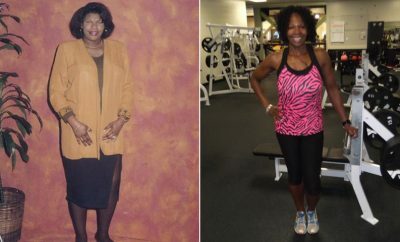 I was overweight, had high cholesterol and blood pressure, and was borderline diabetic. I couldn’t go up and down the stairs or bend over to tie my shoes. I felt 89 instead of 49. I was terrified of turning 50 in that condition. I wanted to live a long, active, healthy and happy life, and I didn’t want to become a burden to my husband or to our two daughters. Was that too much to ask? Did I deserve it? More importantly, was it even possible? I made the decision that day to take control of my life and become the person I always wanted to be. It was now or never. How I Lost It: On the way home from the doctor’s that day, I stopped at the pharmacy to refill my prescriptions. While I waited, I chatted with the pharmacist and joked about wanting a quick fix to make me thin. He suggested I try a new over-the-counter weight-loss pill Alli. 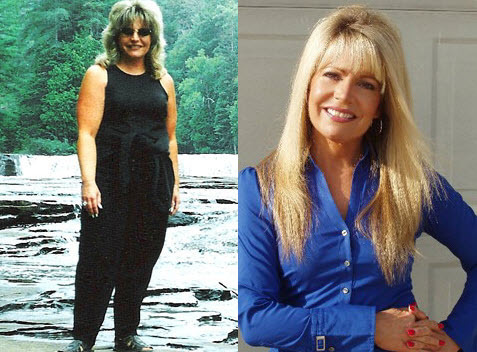 I knew it wasn’t a magic pill, but I figured I had nothing to lose — except 60 pounds. Alli seems to receive mixed reviews, but product and program worked well for me. The tools they offered and the knowledge I gained helped me make mindful choices about the foods I ate. While on the program, I kept (and still keep) a food journal and recorded everything I ate, including the total calories and fat grams. I also kept track of when I ate and what I was doing. It sounds like a lot of work and effort, but really it wasn’t. I work at a computer all day so it was easy for me to keep a spreadsheet open so it only took minutes to record my food. The food journal was my key to success. I found I was surprised at the quantity of food I was used to eating compared with what the recommended serving sizes are. I used to say, “I don’t know why I’m fat because I don’t eat that much.” Once I saw in black and white everything I put in my mouth, there was no mystery. Journaling also allowed me a peek into the reasons behind my eating. Everybody knows we don’t just eat when we’re hungry, and I learned that I overeat when I’m bored or stressed. This enabled me to redirect my thoughts so when I felt the urge to eat and I knew I shouldn’t be hungry, I would acknowledge the desire to eat but tell myself I was going to get up and walk or have a drink of water instead. It sounds too simple, but it really helped me modify unwanted behavior and helps to curb mindless snacking. Along with journaling and making good food choices, I knew I had to begin some sort of exercise program. That was going to be a problem for me because deep down, I was a true couch potato. I decided to start walking, and for the first week, I walked around the cul-de-sac where I lived. It took me less than five minutes, but I knew if I did more than that I wouldn’t stick with it. Besides, I told myself it was better than doing nothing, and I was right. Eventually I added another 10 minutes to my walk and then started riding my bike around the neighborhood. I never did more than I felt like doing, but I was consistent. It wasn’t long before I was actually looking forward to my daily walks. Being outside reminded me of my childhood, but for once, it only brought me happy memories. As I gradually began to enjoy exercise, I did more of it. My hometown is the birthplace of an annual 10-mile road race called The Crim. It’s a world-class race that benefits Special Olympics and attracts runners from around the globe. For 15 years I lived in a house on the course, and each year, I would sit in my lawn chair with my cup of coffee and box of donuts and cheer the runners. Never in my wildest dreams did I think I would actually one day join them. 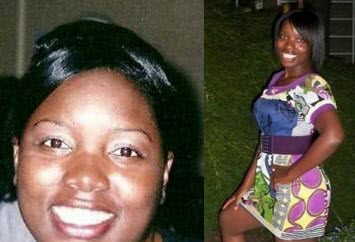 In the spring of 2008, I reached my goal weight of 130 pounds, and I felt like a million bucks. I went on to compete in the race that summer. This year, I will be 52 years old when I finish my third half marathon. I would be lying if I said it was easy to maintain my weight or that I was cured of the tendency to overeat and be sedentary. Like most things in life that are important, it takes work. But I’ve learned how to control my eating, and I know how fantastic it feels to be healthy and fit. Do not think you cannot change. You can do or become anything if you have the motivation, the tools and the determination. deserves to be the best they can be. 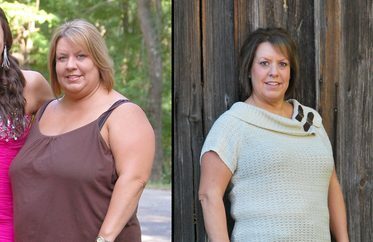 Connie has maintained her 56-pound weight loss for more than two years now. Obesity is no laughing matter — find out how comedian Sonya stopped being the subject of her own “fat” jokes.